Our all-purpose cleaner is biodegradable and environmentally safe with its near-neutral ph balance. It safely removes grease, grime, soil and hydrocarbons, yet is safe for use on metal, rubber and other sensitive surfaces. 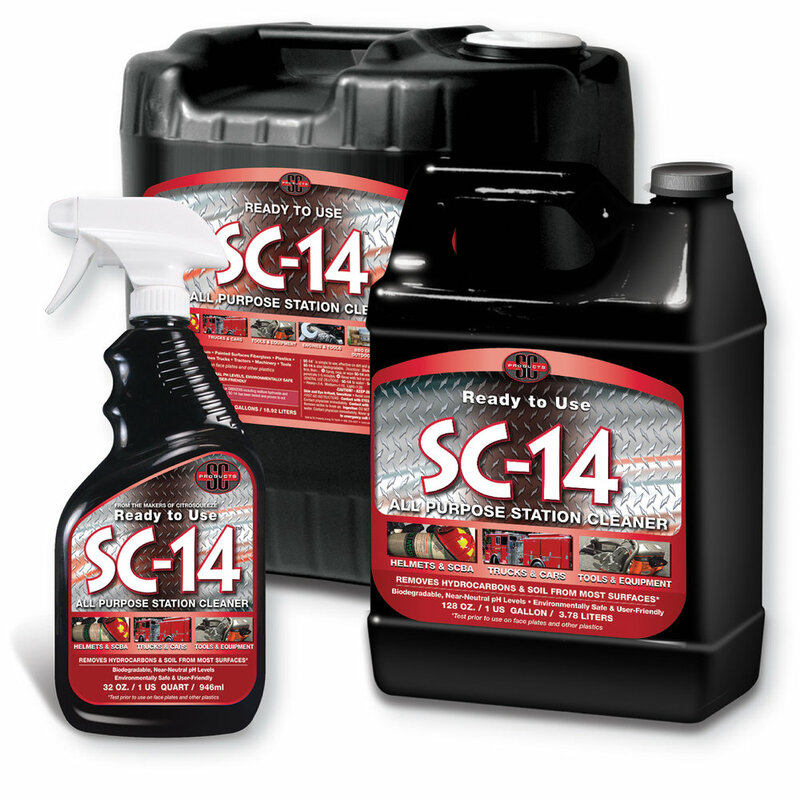 Station One is great for trucks, equipment SCBA tanks, imaging cameras, most rubbers, helmets, hoses, epoxy and concrete floors and a whole lot more!